Anthropology takes a holistic approach to understanding, raising critical questions about how we think, act and live. It’s the study of humankind in various times and places. The Anthropology program at CBU explores human nature and culture from every angle, looking at human evolution in terms of families, gender, languages, identities, and archaeology. What Is The Study of Anthropology? Socio-cultural: the study of societies and cultures from around the world. A critical and holistic exploration of the practices and processes of people’s everyday lives as they are connected in a given cultural context. There’s usually a focus on smaller groupings, like neighbourhoods or workplaces, within the whole. Archaeology: the study of human societies through their material remains. Physical or biological: the study of human evolution and human biology. Forensic anthropology: a subspecialty focusing on the study of human remains to confirm things like diet, activity and causes of death. 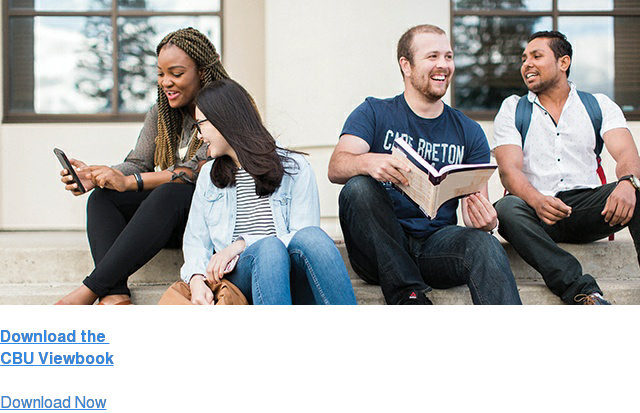 Why Study Anthropology At CBU? Anthropology gets students ready for research in social settings, design and assessment of social policy, implementation of programs and policies, and various organizational and social service work. The program’s holistic approach teaches social sensitivity, which provides excellent preparation for work in our increasingly multicultural world. Anthropology is useful for any career field requiring an understanding of social issues and problem solving in a social capacity. This program is a “teachable” for entry into education programs (restrictions may apply – students should check BEd requirements of the universities program they’re interested in). Further your studies in a wide variety of professional programs like community development, social-work specialties, criminology, health promotion, journalism or law. Talk to your Admissions Advisor about pairing a degree in Anthropology with a post-graduate program for the career you want.